Introducing a high powered kit option, the Speeder Revvo kit. The Speeder is a compact but heavy duty 200W mod. Dual 18650 high rate batteries power this device that is packed with all the extras that Aspire users come to expect. Multiple TC/VV/VW/TCR and CPS (Customizable Power Setting option) for the vaping sweet spot. 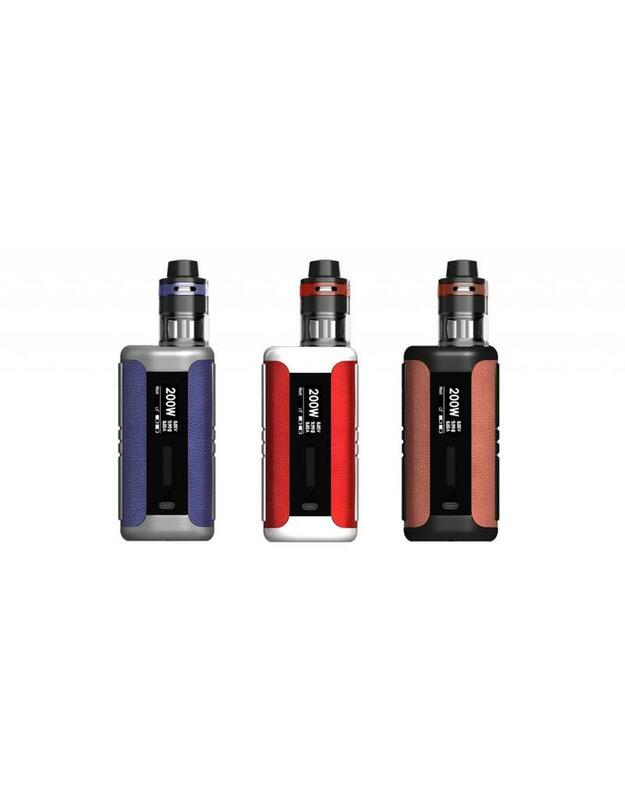 It has been coupled with The Revvo tank with an all-new coil design, the ARC, Aspire Radar Coil, where the coil itself sits horizontally in the tank similar to a ‘stove-top’ for great flavor and great vapor production. It’s a 24mm diameter tank with a 3.6ml standard version and a 2ml TPD version. The tank has a fully adjustable top airflow by way of 3 airflow slots a Pyrex glass tank allows you to see at a glance the amount of e-liquid in the tank, and extremely easy top-fill through a spring-loaded filling tube. This powerhouse of a mod with the Revvo tank gives a vast array of adjustable options. The Speeder Revvo kit comes in 3 leather finishes: blue leather/red leather/brown leather, the soft suppleness of real leather gives a more luxurious feel in the hand. For all your vape and vape accessory needs!